Stop in and see us! 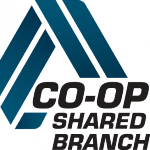 We are also part of the CO-OP shared branch network giving you access to over 5,000 locations nationwide! Even though there may not be a KEMBA branch in your neighborhood you’ll still have convenient access! We may only have one branch with KEMBA’s name on it, but you have more than 5,000 credit unions nationwide where you can access your KEMBA account! We are a convenient banking option for you where you live or go!